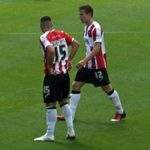 Home » Exeter City News » Exeweb News » Wheeler is an Exewebber! To be more precise, exeweb.com are now the proud sponsors of his home shirt. This site uses advertising to raise money to pay for our hosting fees. 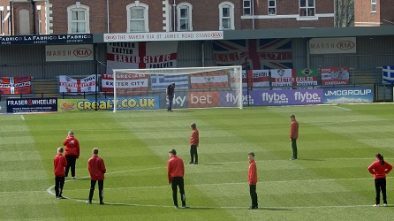 The ever popular fans forum for supporters of Exeter City is popular enough that the advertising revenue has brought us a surplus. 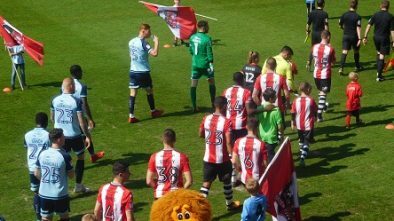 So, the owners of exeweb.com had funds available and being supporters of Exeter City felt that the best way to use that money was to invest in the Football Club. There is a lot of negativity towards exeweb.com, much of it unwarranted. So, when Tisdale brought in a winger (David Wheeler) we saw this as a positive move for the team, and to find that his home shirt was available for sponsoring was too good an opportunity for us to miss. We delighted to be able to use some of the funds that we’ve raised in support of the team that we all love. It would also be fair to say that David Wheeler has had an excellent start to the season. He’s brought a new dimension to the team and our style of play. His assist in the dramatic late winner at Northampton Town typifies what he’s brought to the team. Great ball by Davies to Wheeler, a great cross by Wheeler in to the path of O’Flynn and the Grecians first win at Northampton since 1973! We’re delighted that another young player, David Wheeler in this case, is being supported through player sponsorship by Exeweb. 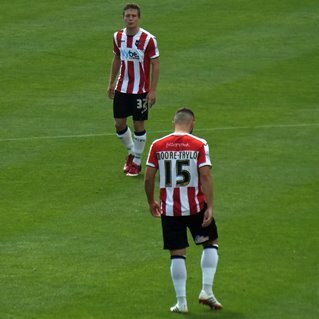 It’s important for players to feel part of the Exeter City family and sponsorship also gives fans the chance to be associated with a player and see their name in the programme for example. Whilst we’ve covered all players in one way or another already this season, with home shirt, away shirt and training kit all available, there are still plenty of opportunities for fans to take up some sponsorship this season and at reasonable rates. Cheaper options such as sock tie sponsorship (may be one for the kids?) are also on the table and one player can have any number of these sponsors. If look closely at the programme, you’ll see that an Exewebber is sponsoring his away shirt. That is, erstwhile Exewebber Pete Martin. There are a number of projects that exeweb.com are involved in financially. We’ll bring more news on this as it happens.